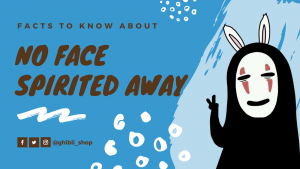 Discover the unique & gorgeous merchandise that Studio Ghibli Fans truly love. Ghibli Shop is an online store that offers an unique and exciting lineup of Studio Ghibli merchandise. 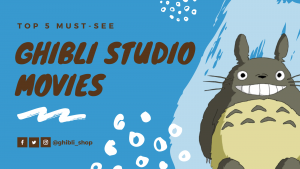 Our’s mission is simple – to be the largest, best source with the compatible price for Studio Ghibli themed collectibles, merchandise, and accessories in the world! Stop by today at our largest store and check them out! Our goal is to be the leading retailer in the Studio Ghibli inspired goods by having the highest level of customer satisfaction. We’re always available to help. Contact us at [email protected] right now! Where you can find an enormous collection of Studio Ghibli related products. With an easy to use and navigate interface, we confident in providing a shop by category part, improving your shopping experience. I got goosebumps after opening the bag. This push is soooooo cute. Super soft. No smell. Worth the wait and the money. The sweatshirt is good, with a small fleece inside. Bought gift for my friend, she loved. Thank you to the seller, i recommend! I love the bag. I use it already for a long time and it is still in perfect condition. Very strong bag, good quality! Also the print in it is still in perfect (new) condition. Love all the space in the bag and all the extra compartments. Very handy. Recommended! This blog section for all of the Studio Ghibli lovers. Our contents related to Studio Ghibli theme around the world are updated constantly.